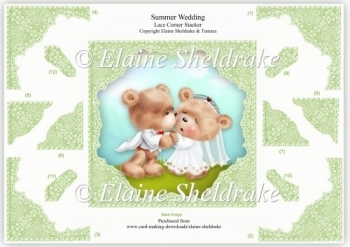 I have designed this beautiful card topper so that a complete 3D frame is built up all around the picture. The file will be downloaded to your email address ready for you to print and make as soon as payment is received. The pieces are all numbered and it is fun and so easy to do. Simply cut out and stack the pieces using either silicone gel or foam pads. Look out for all my other designs in this series. Perfect for easel cards, card toppers, shaker cards etc. You are very welcome to make cards to sell using my designs but the design itself must not be sold or shared, or given away on blogs in any way, electronically or otherwise.. Copyright remains with me at all times.